Rick Fredericksen of Iowa Public Radio is shown interviewing Oley Olson in the Karl King Archive Center. 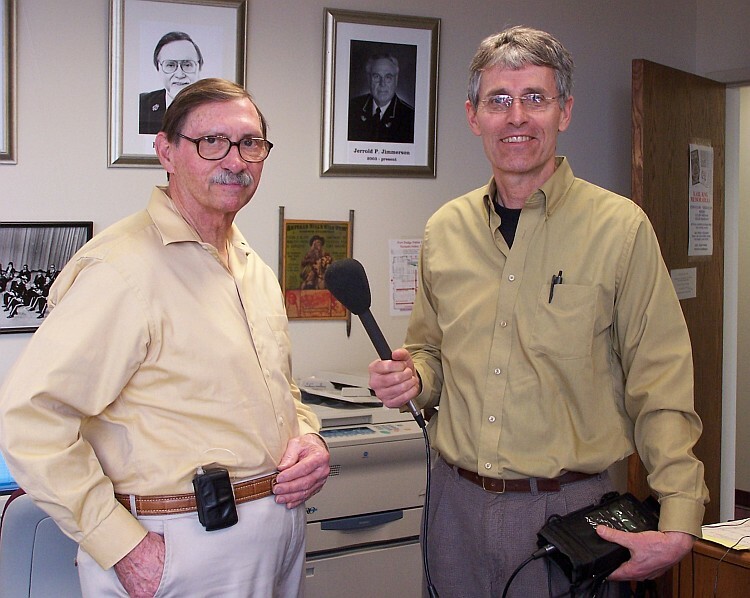 Rick was working on a segment which would include the voice of Karl King in his series of short radio broadcasts documenting historical Iowa sounds. Oley and Nancy had assembled every known significant recording of Karl King's voice in preparation for this interview which has now been aired. The segment has been archived on the WOI Radio website so all can enjoy it. Anyone aware of possible additional recordings which include Karl King's voice is encouraged to contact Duane Oley Olson at 712-297-8193.